I've come to believe that data visualization can be more important than precise statistical inference, particularly for high-dimensional data. 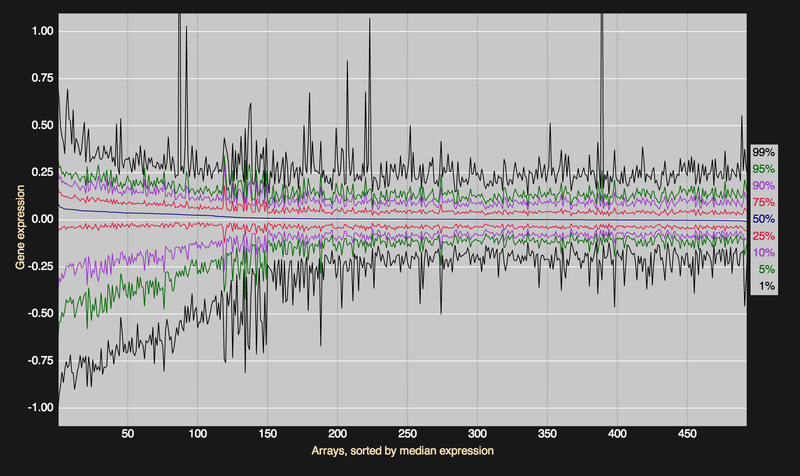 In these slides, I will show a bit of my efforts to develop interactive graphics for expression genetic data. Click on the link at the bottom-left to remove these notes. The flashing “interactive” is a joke; click on it to switch among off/on/flashing. These slides were tested for Safari on a Mac and might look terrible in some browsers. I have a lot more to learn about handling browser differences. I study the genetics of complex traits in experimental crosses. 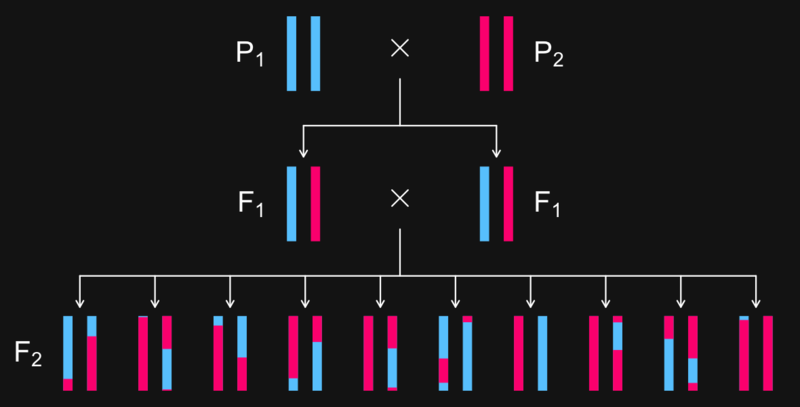 The intercross is the most common type of experimental cross: two inbred strains are mated, and then their offspring are mated. We measure genotypes along chromosomes and look for sites in the genome for which genotype is associated with some trait. 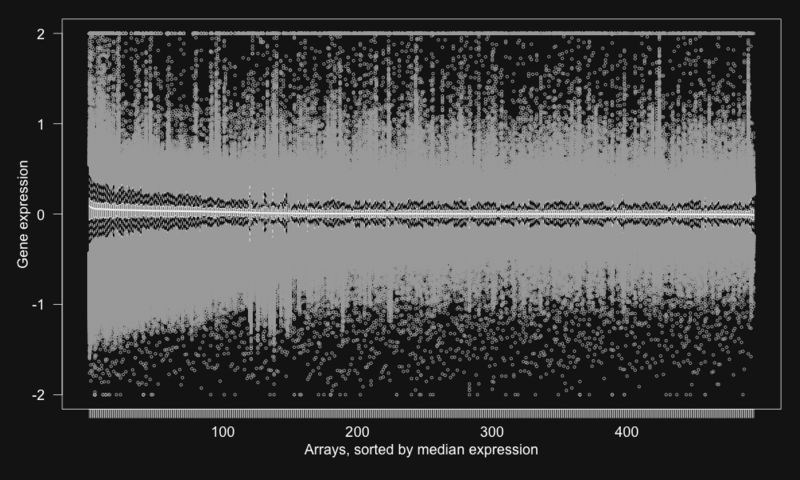 My first adventure with big data: 500 mice x 6 arrays x 40k measurements. The goal is to identify genes that contribute to obesity-induced diabetes. If you can't look at all 500 histograms, you tend not to look at any. 500 boxplots, each summarizing 40k measurements. Standard box plots don't work well with large data sets. The usual five-number summaries don't give tail information, and it's hard to show many boxplots. Wouldn't it be nice to click on an array and see the corresponding histogram? Hover over an array above and see the corresponding histogram. Click on an array for the histogram to persist; click again to make it go away. Why aren't all of our graphs interactive? Cut down on simple questions? The routine use of interactive graphics for exploratory data analysis seems a bit out of reach, but surely is possible. Incorporating such graphics in reports to our collaborators could be really valueable. Perhaps the greatest opportunity is for the exploration of large, complex data sets. You have to choose between easy or flexible; you can’t have both. I’m going for flexible. Good graphics are tailored to the data and questions at hand. This is even more true for interactive graphics. This is one of the images that convinced me that I wanted to learn D3. The code is surprisingly short and easy to follow. There are lots of additional examples at the D3 gallery. The hardest part about learning D3 is that there are a whole pile of things that you need to understand simultaneously, and some of them are rather dull. So you need to know HTML and SVG, and then also CSS (“cascading style sheets”), for controlling the style (e.g. color) of different HTML or SVG elements. Particularly painful is that the different browsers behave somewhat differently, and you need to take that into account if you want your visualizations to be useable in any browser. Heatmaps of things like correlation matrices can be quite useful, but they are often hard to read. It's nice to be able to read off the values by hovering. Even better: to be able to click on a pixel and view the corresponding scatterplot. This is a set of genes that map to a common QTL; in the scatterplot, the points are colored by genotype at the QTL. The curves at the top correspond to a measure of association between genotype and insulin level. LOD scores are log10 likelihood ratios: a transformation of the F statistic from ANOVA. Click on a chromosome in the top panel to see a detailed view in the lower-left panel. Click on a marker in the lower-left panel to see effect estimates and raw data on the right. Hover over things on the right to get some further information. The top-left image shows inferred eQTL (sites in genome where genotype is associated with the expression of some gene). 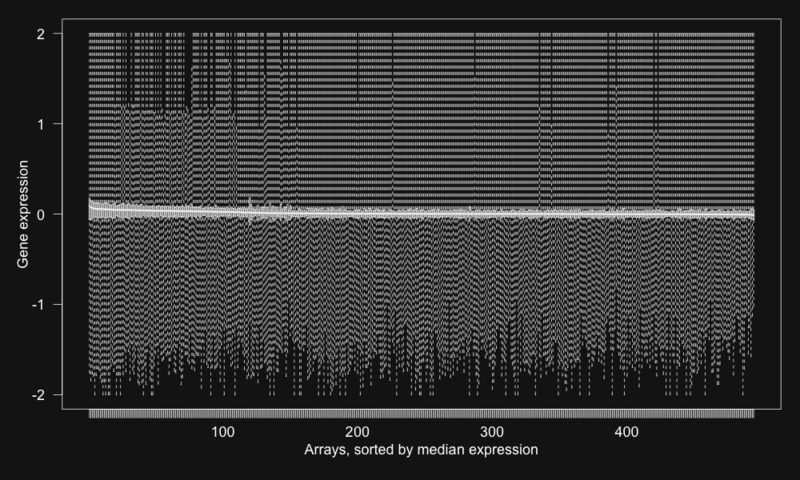 The y-axis corresponds to the genomic location of probes on a gene expression array. The x-axis corresponds to marker positions. Dots indicate that the genotypes at a particular marker are associated with the expression of a particular probe. Hover over a point in the top-right to see all eQTL for a given probe. Click on a point to see the LOD curves across the genome for that probe: the association between that probe's expression and genotype at each position in the genome. Click on a marker in the lower LOD curve plot to see the corresponding phenotype-vs-genotype plot in the top-right. It's always good to have a summary slide with your key points. Amit Kulkarni Merck & Co., Inc. Many people are involved in the study that led to this work.